AmazonSmile - Buffalo Prenatal-Perinatal Network Inc.
Shop on Amazon.com? Then please support us! Buffalo Prenatal-Perinatal Network, Inc. (BPPN) by participating in AmazonSmile. It is a simple and automatic way for you to support BPPN every time you shop, at no cost to you. 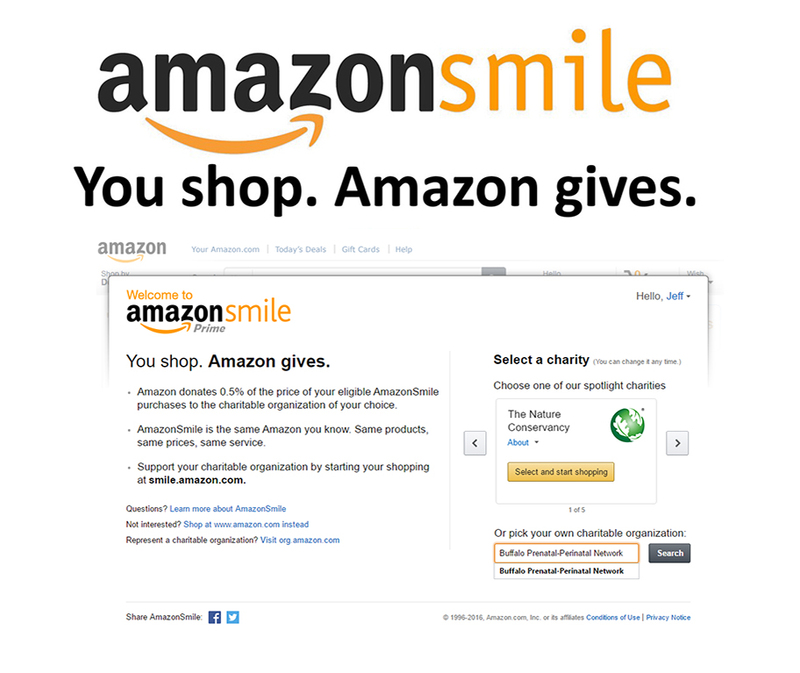 When you shop at smile.amazon.com, you’ll find the exact same low prices, vast selection and convenient shopping experience as Amazon.com, with the added bonus that Amazon will donate a portion of the purchase price to BPPN. You will see eligible products marked “Eligible for AmazonSmile donation” on their product detail pages. How do you shop at AmazonSmile? Please go to and bookmark https://smile.amazon.com/ch/16-1302764 from the web browser on your computer or mobile device and start your shopping at AmazonSmile. Be sure to select Buffalo Prenatal-Perinatal Network, Inc. as your charity of choice.